Detox Diets Not Always Safe - Claimed to be capable of removing harmful toxins from the body and slimming, many people are interested in doing a detox diet method. Before swept away, first know why most nutrition experts oppose this diet. Detox or detoxification is included in the way of extreme weight loss. The diet is based on the concept that our bodies should be cleaned of harmful toxins from food or the environment. 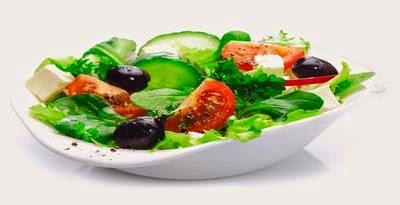 In theory, if the toxins are gone, the body will function better and be a fast metabolism so that more rapid weight loss. There are many variations of detox diet. Most follow the pattern of low calorie intake through fasting with additional intake of fruit, vegetables, water, and supplements. There are recommending additional pills, herbs, and various other forms of colon cleansers. According to Frank Sacks, epidemiologists from the Harvard School of Public Health, our bodies do not actually need the help to clean itself. "There are organs that function to it, such as the kidney and liver, as well as the body's immune system to expel toxins," he said. Why are there people who successfully lose weight with a detox diet? According to Connie Diekman, a former president of the Academy of Nutrition and Dietetics, it's because your calorie intake is reduced. "Detox diet including fad diets because it offers fast weight loss," he said. If the drastically reduced calorie intake, reduced weight naturally. But this can lead to problems, such as loss of muscle mass. Coupled with fasting, the body will eventually slow burn calories. Such weight loss is also usually only reduce body fluid, not fat. So if you go back to a normal diet, we tend to experience more rapid weight gain due to slow metabolism. The person doing the detox diet are at risk of nutritional deficiencies. Other side effects such as lack of energy, low blood sugar levels, muscle pain, fatigue, dizziness, nausea as well. In the long term, this diet is bad for health is also at risk because they interfere with the body's electrolyte and fluid balance. According to Christine Gerbstadt, author of Detox Diet Doctors, there are healthier ways to do a detox diet. Among others, by eating foods as natural as possible. "If you look at the detox diet as a way to cleanse the body, this means we have to eat naturally, avoiding processed foods and without additional ingredients," said Gerbstadt. He suggested that a detox diet is done for two weeks, by adding plenty of water, fruit, vegetables, fiber, lean protein, non-fat dairy, and whole grains. Every day total calories needed around 1500-1600. In one week we could lose 1.3 kg. "With this method we are not too hungry and undernourished," he said.